In the past installments, we at Iceland Mini Campers have shared with you some of our favorite destinations in Iceland with an emphasis on motorhome friendly areas and the road less traveled. Now we will continue in the same vein and describe one of the most beautiful and most interesting parts of Iceland: the Snæfellsnes peninsula. If you ever find yourself in Iceland with 2-3 days to spare, a mini camper trip around Snæfellsnes is truly an excellent idea. The glacier itself is probably best know from Jules Verne’s Journey to the Center of the Earth and is reportedly a source of great spiritual and cosmic energy. Moreover, it is said that on this single peninsula you can find most types of geographical formations that exist in Iceland. Simply put, by driving around Snæfellsnes you will be able to experience most types of landscape Iceland has to offer and plenty of interesting places to discover along the way. 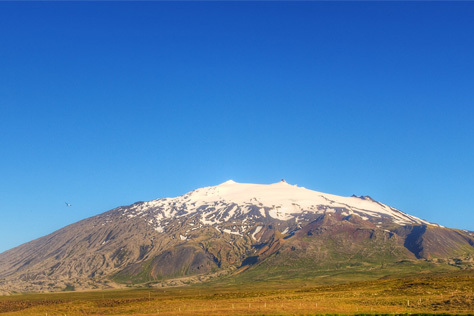 The very picturesque Snæfellsjökull, from which Snæfellsnes takes its name, is often visible from Reykjavík on clear days and driving to the roots of the glacier takes a little over two hours. 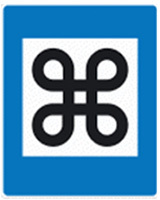 First of all, make your way northbound on highway 1 or the Vesturlandsvegur (for more information refer to vegvisir.is, vegagerdin.is and vegasja.vegagerdin.is). Shortly after you’ve passed the small town of Borgarnes you turn left onto highway 54. Along this road there are many interesting stops but there are a couple that we really need to mention. First off, the Eldborg crater is quite impressive and beautifully shaped and has a number of hiking paths around it. We recommend the short walk to the top edge of the crater which should provide some excellent photo opportunities. Second, the Gerðuberg cliff and its surroundings are well worth a stop. 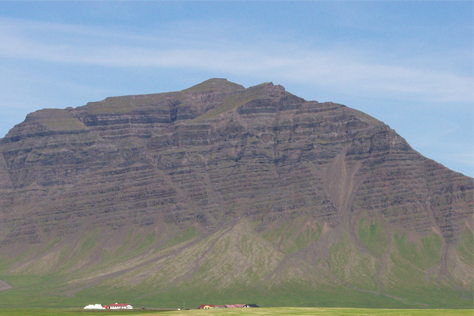 Gerðuberg is a very symmetrical cliff made out of trap-rock basalt columns. Gerðuberg has inspired a number of buildings in Iceland, such as the University of Iceland’s main building. However, before arriving at Gerðuberg you can make a right at highway 55 and a left at Syðri-Rauðamelur. Drive along that road for circa 6 kilometers and you will find the natural hot pool Rauðamelslaug, which has a temperature of around 40°C which makes it perfect for bathing. (As often is the case with well kept secrets it can be a bit difficult to spot but the coordinates are Lat: 64.87010000, Long: -22.28368333). It simply means interesting place and Snæfellsnes has quite a lot of them. As you make your way further out onto the peninsula there are a few that deserve special mention. The first one would be the farm Ölkelda, which has a natural mineral water spring, and last time we knew they offer cups for free so that you can try a sip of the wholesome drink. If you want to go all-in and bathe in mineral water as well that can be done at Lýsuhóll, which you will find a little further down the road. Further still, highway 54 splits and allows you to take a left on route 574. 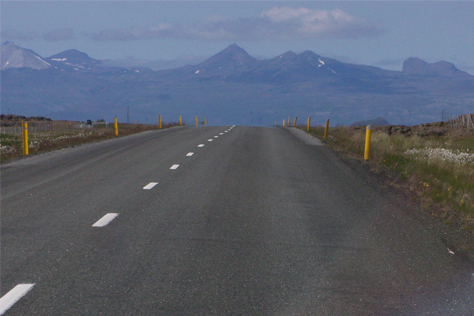 That road will take you around the Snæfellsjökull glacier and has at least three stops that are an absolute must. 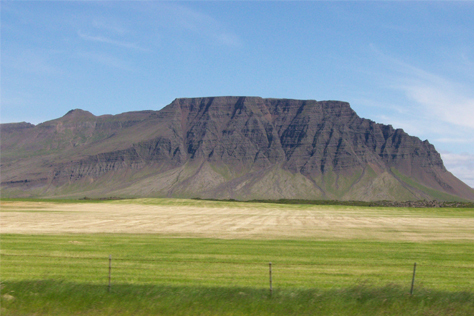 The first is Rauðafeldsgjá, a narrow gorge or a cleft on the right hand side. You can walk into it and enjoy it’s eerie atmosphere with moss covered walls and seabirds hovering above. Next stops are Arnarstapi and Hellnar. We recommend that you stop at Arnarstapi and take a look at the weird rock formations there and then walk to Hellnar, which only takes about 10-15 minutes. 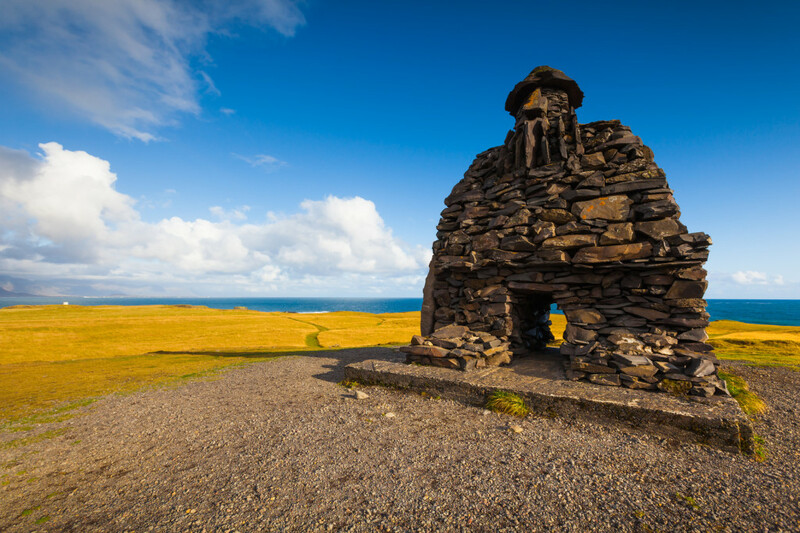 Arnarstapi landmark in West Iceland. The area has a lot to offer, stunning scenic views of tousled cliffs, the impossibly clear ocean and the quaint little houses. The camping grounds at Arnarstapi are, in our honest opinion, the most beautifully situated in all of Iceland and perfect overnight stop for a mini camper journey. Barbecue on the beach, look out for seals and, if you’re not afraid to get wet, go for a swim! Next week we’ll continue to list some of our favorites.